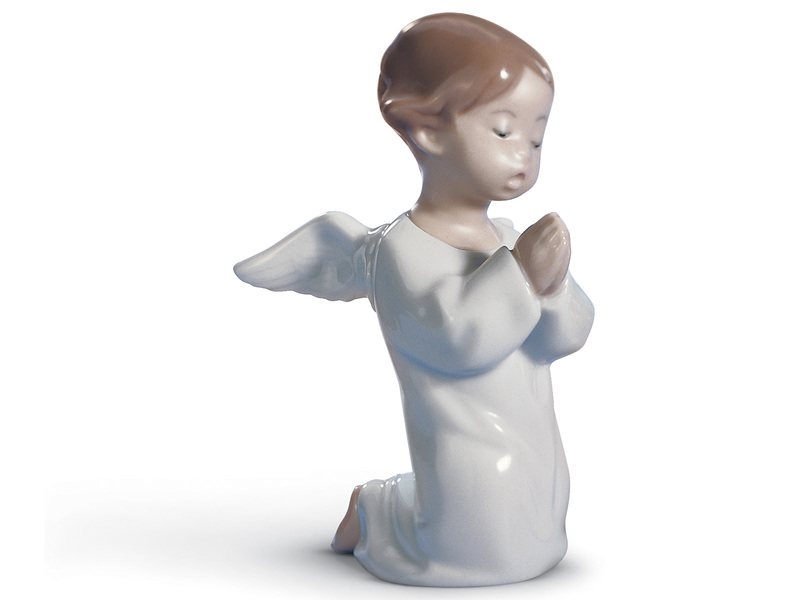 This Lladro porcelain figurine of ‘Angel Praying’ is ideal as a gift or keepsake for a loved one who perhaps has a young angel of their own, or simply is fond of angels. 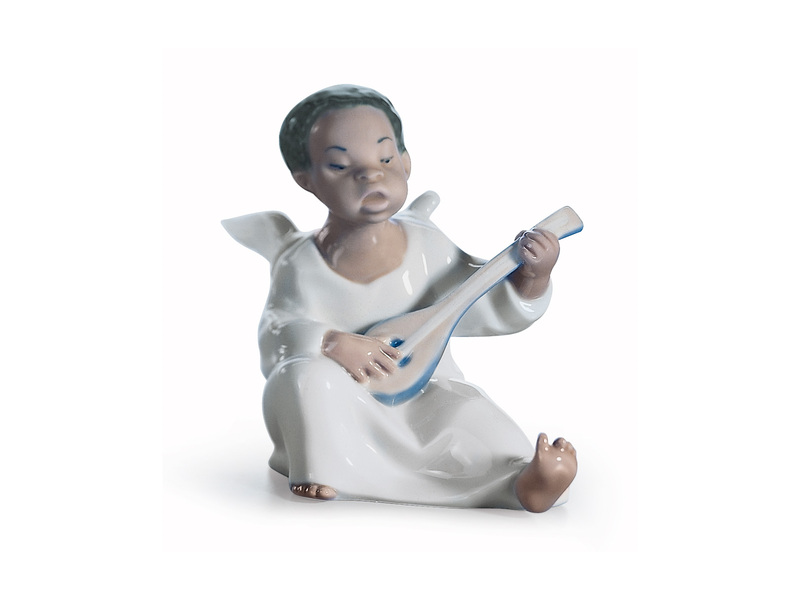 Follow the link to view our full Lladro Angel Collection. This Lladro piece is a porcelain figurine of a young angel kneeling down, praying peacefully with his hands together, eyes closed. The pure white colour of the gown and wings connote peace, innocence and purity, contrastingly beautifully with the soft fair skin tone and hair, giving this angel a lifelike appearance. 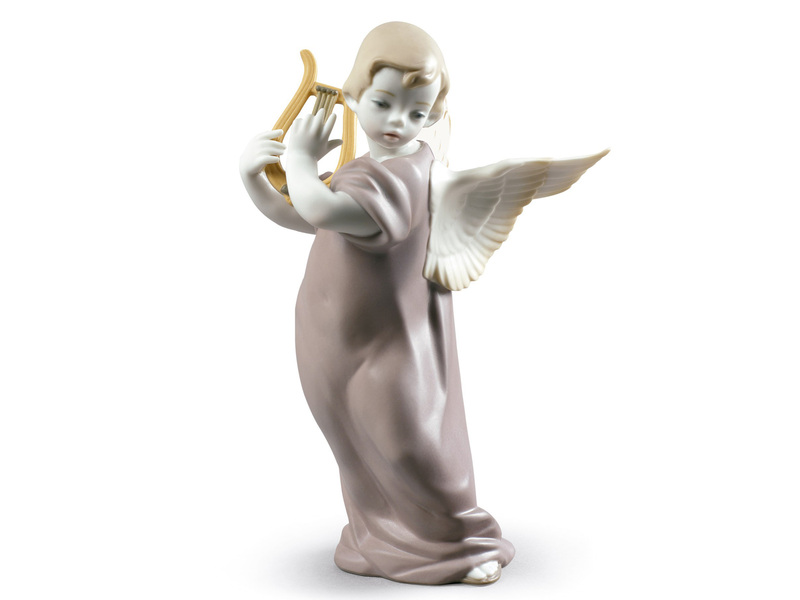 The adorable facial expression adds to the charm of this piece, which features as part of Lladro’s vast angel collection.